What Is Steampunk All About? 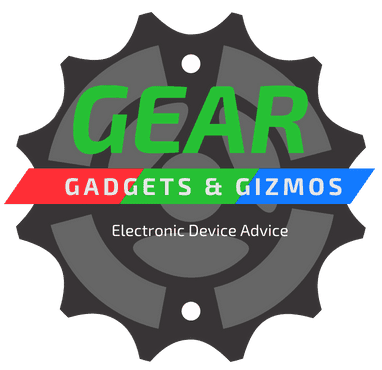 After starting my site Gear Gadgets and Gizmos I stumbled upon the connection to Steampunk. So I went out to find out, What is Steampunk All About? This is what I found out and decided to share it with you. Steampunk has been around for a long time but only recently has a name. 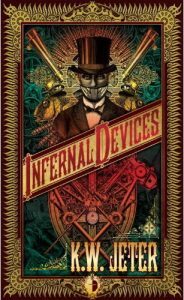 If you have never heard of Steampunk this post should give you a good idea of what it is all about. Steampunk for beginners. If you already are into Steampunk and have anything to add. Make a comment below and share your insight. Steampunk is a science fiction genre that is set in the historical 19th-century. Steampunk is where the Victorian era meets the future and steam is the fuel for all technology. It is a mix of science fiction, fantasy and historical fiction. Steampunk is a sub-genre based in the Victorian era. A style of design and fashion that combines historical elements with anachronistic technological features inspired by science fiction. What the past would look like if the future had happened sooner. During the industrial revolution, steam was the technology expected to take man to the moon and beyond. This technology was eventually replaced by petroleum but the inventiveness and innovation of steam power in this era is the basis of Steampunk. Surrealist ideas resonate with Steampunk. What matters is doing. Glorify the tinkerer for tinkering and not just for producing. Steampunks proudly show their seams and rivets because the way they build it matters, somewhat more than the actual function itself. Creating an elaborate machine to perform a simple function. The term “Steampunk” was first used to refer to a branch of “cyberpunks” fiction set in Victorian-era technology. Steampunk is a subculture that pays respect to the antiquated technologies. Why do they call it steampunk? Steampunk is not about electricity “Steam” is the order of the day as in steam engines are fashion into marvellous things even flying machines. “Punk” is the counterculture rebel nature of this genre. Where does Steampunk come from? The author K.W Jetter first coined the term “Steampunk” in April 1987. It was a pun referring back to his earlier sci-fi book “Cyberpunk”. A book about a future world in an apocalyptic setting that focus on society as “High-tech low life” Featuring old new technology that has been made into something the original inventor had not anticipated. Steam has become the main form of energy as electricity and petroleum are not available. This resourcefulness is a must due to the general bleak circumstances this genre is set in. A Cyberpunk as with all good characters is an outsider that normally lives on the edge of society. Surviving in a rapid technological changing society that includes datasphere of computerized information, personal monitoring and invasive modifications of the human body. Kind of sounds familiar to where we are heading today. Now K.W Jetter coined the term “Steampunk” but he was not the inventor of this sci-fi genre. It is a 19th-century sci-fi style that first appeared in Scientific Romances novels written by H.G Wells, Jules Verne, and Mary Shelley. These authors wrote about futuristic settings with visions of how society will evolve often incorporating the use of steam in many future inventions and machines they envisioned. The genre gained popularity in the 1960s and 1970s and a number of books were published but the actual term Steampunk originated in the late eighties. If you really think about it Dr Suess was a little bit Steampunk with his elaborate buildings and machines. Celebrating the quirky design more than the overall function. In my researched online I found some say the origin term “Steampunk” came from Pat Mills British Anthology Comic 2000 AD “ Nemesis the Warlock” a comic book series that began in 1980 with stories set in 2000 AD. Some say Steampunk is just a genre of fiction. But others say it’s a way of life. About 15 years ago Steampunked jump of the pages and into our lives. People started dressing up in this style and a number of Cosplay festivals and fairs started cropping up. You probably recognize it when you see it. You probably have seen it in movies or read it in books. The theme is heavily based on old industrial photos style with rivets, metal, and steam. Movies that are influenced by Steampunk are the recent Sherlock Holmes Reboot movie, The League of Extraordinary Gentleman and the Wild Wild West with Will Smith is a great example of Steampunk imagination. 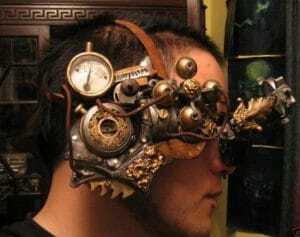 The growing trend of Steampunk today is a collection of two group’s designers and "do it yourselfers" that push the boundaries of creativity and function. There are no particular rules and the only requirement is to have an imagination. 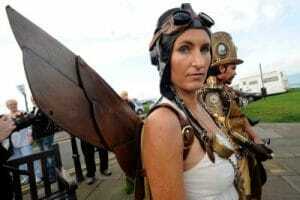 Steampunk attracts highly artistic people because of its very creative nature and free spirit. It is quite a popular look at the annual Burning Man festival, held in the Black Rock Desert. They create a surreal city for a weeklong celebration of inner reflection, art, music, and individuality. The aviator goggles are a particularly favoured look not only for the cool look but also for very practical purposes, to keep the desert sand out of your eyes. The Steampunk look fits well with the burning man as it fits with the surreal world of outsides that celebrate the creators and not the creation. Breaking from the norm. 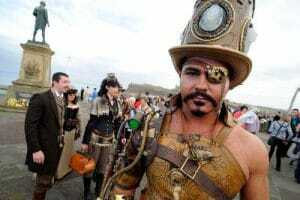 There are a number of Steampunk festivals/fairs and groups around the world. Many of these people are drawn to Steampunk by the look and aesthetics of the time. Items from this time seem to have more character textures and imagination than many of our clean iWorld products we use today. The Steampunk community despite the rebel nature of the genre brings out warm friendly people that enjoy a good time and sharing their gear gadgets and gizmos. Most are self made from a mixture of fittings and gears that are repurposed into something new. Steampunk style is 19th-century Victorian style clothing. For women, the style is the 19th Century but women wear this style with leather corsets and other accessories like clocks and gears. Some wear dresses but many wear tight pants. Not available and a little sexier than the original time period. A example of a modern day Steampunk influence is Lara Croft. Corset cleavage aviator/welder goggles and leather. Feminine badass. Although in the recent Tom Raider movie Laura seems to be wearing only her trademark red round sunglasses. Some women will wear top hats but wearing aviator glasses are still a must for women Steampunk accessory. Steampunk likes to be based on historical accuracy by wearing clothing from the time period. Women have updated the look with corsets and leather and made the look much sexier then during the real time period. Start with Victorian era style clothing and add from there. This era was the first to take advantage of steam power. During the latter part of the 19th-century steam power, was affecting everyday life. This is why the writing of this genre is placed in this time period. 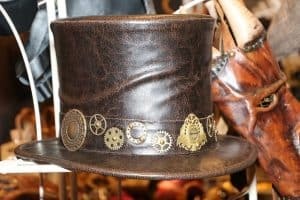 Why is Steampunk growing in popularity? Some say it is our societies disillusioned with today’s modern society. For example, the smartphone that everyone has. They all look and sound the same. Since everyone has one there is nothing unique about your phone. Many things are mass-produced and become overly popular and everyone looks the same. Back in the Victorian era, the technology was very unique everything was different. Craftsmanship was very important. There were no assembly lines and many everyday things were adorned with intricate patterns and textures. 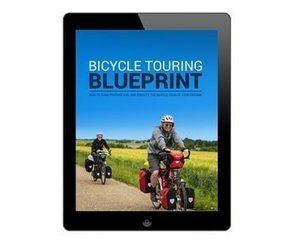 Everything was very customizable and could be changed or adapted to a specific purpose. 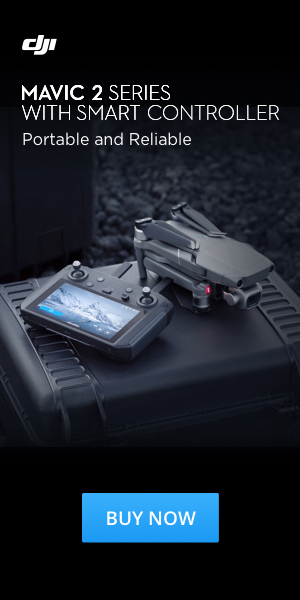 It’s a way of giving your personal technology a goth makeover. 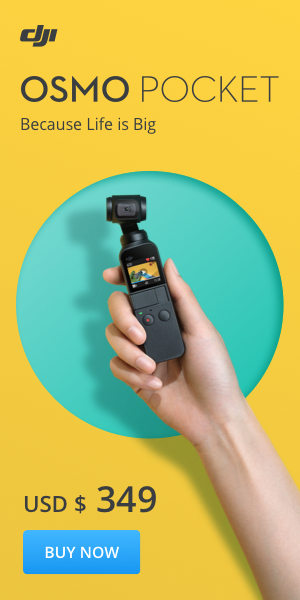 Like taking a modern day computer and make it look like an old typewriter, or using an old brass and wood telephone receiver to your answer your iPhone. The main takeaway from the movement is a protest against the advancement of technology and a return to more analog technology. The movement also brings out the inner MacGyver in us all and makes us believe we can create anything if we put our minds to it. How to be a Steampunk Man?